Your Village at Work, November 28! 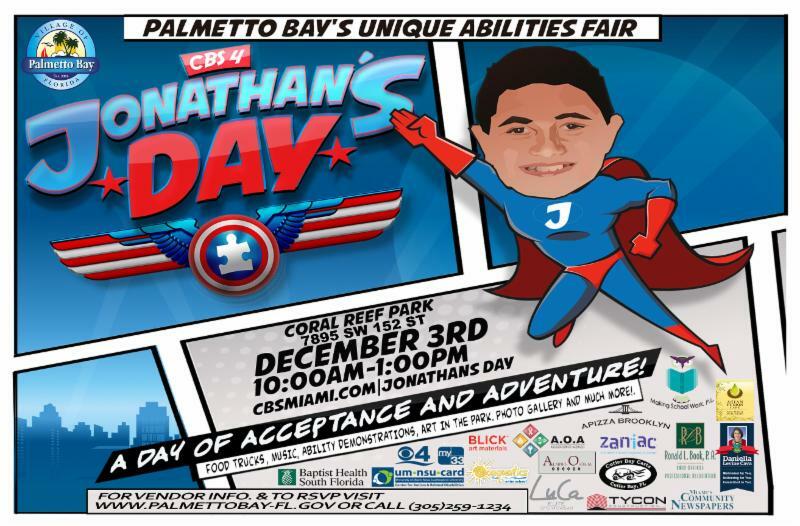 You're invited to Palmetto Bay's Unique Abilities Fair -Jonathan's Day , a Day of Community Discovery, Saturday, Dec. 3rd from 10 am to 1 pm at Coral Reef Park. Jonathan's Day will be a day filled with food, fun, and programming to raise community awareness about children with autism and other vulnerable populations and their families. Read more . RSVP with us today or click here to make a donation! 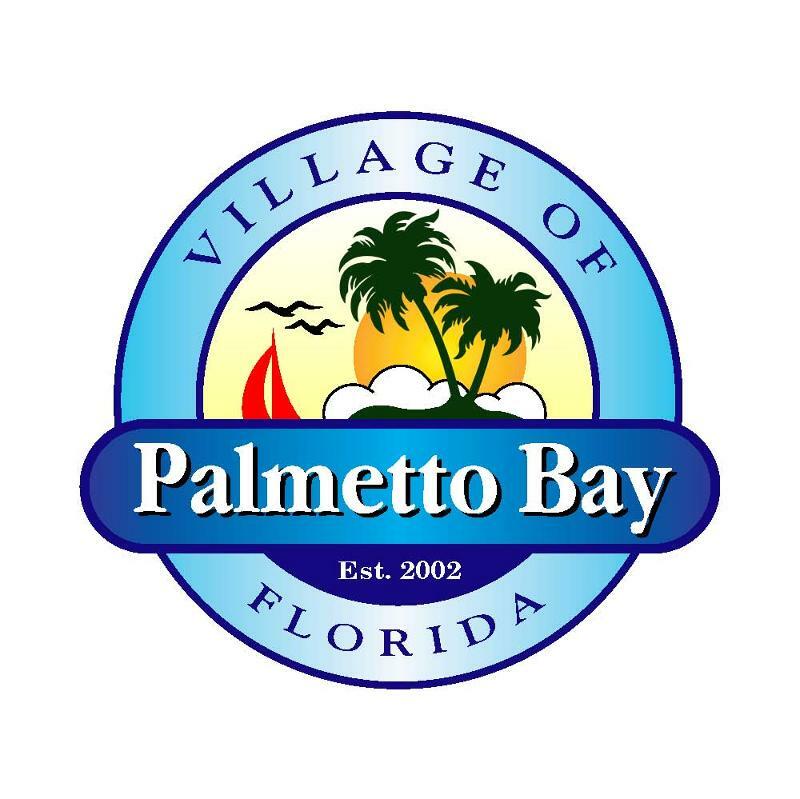 The magic of the holiday spirit in Palmetto Bay gets bigger and better every year as the Village prepares to host its annual Holiday by the Bay at Ludovici Park on Saturday, Dec. 10, 2016 from 3-7pm. This year, we are forecasting a "snowstorm" at 6 pm and are kindly asking event goers to bring unwrapped toys for the Toys for Tots collection drive organized by Benefit Car Show. Join us for our very own Farmer's Market happening every Sunday at Coral Reef Park from 8:30 am to 2:30 pm. Check out the Palmetto Bay Farmer's Market Facebook page for more info! Our Policing Unit’s Grinchbuster holiday detail will be patrolling the Village to keep residents safe in an effort to address robbery and burglary concerns that sometimes come with the holiday season. Never leave your valuables in plain sight and remember to lock it or you just may end up losing it! First Responder Appreciation Day, RSVP with us by email or call 305-259-1234. 4-7 pm - Southwood Middle School's 2nd Annual Festival of the Arts, 16301 SW 80 Ave.